Weather prognosticators are warning those of us living in the Eastern two-thirds of the United States about the brutally cold weather that is coming our way starting this weekend. Temperatures 25 degrees colder than normal are expected to hit the Midwest and Eastern portions of the United States. The fracturing of the Polar Vortex that normally circles around the North Pole is apparently the culprit. The effects could last through the end of January and possibly as long as six weeks. 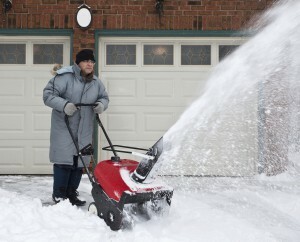 Cold weather can cause hypothermia, says the National Institute of Aging. Older adults are especially vulnerable because of a diminished ability to endure long periods of exposure to cold temperatures. Older adults often make less body heat because their metabolisms are slower and because they are less physically active. Some medications, including over-the-counter cold remedies, and certain diseases such as diabetes, thyroid problems, Parkinson’s disease and arthritis can make it harder for your body to stay warm. Some older adults can even develop hypothermia after exposure to relatively mild cold weather or a small drop in temperature. With hypothermia, your body temperature drops to dangerously low levels. Among older adults, significant health problems can occur when the body temperature drops below 95 degrees. Hypothermia can cause a heart attack, problems with your kidneys, and damage to your liver. It can cost you your life. Set the temperature in your home or apartment to at least 68 degrees. Be sure to check the temperature often. If you are concerned about being able to afford the cost of heating your apartment or home, you may be able to get help paying your heating bill through the Low-Income Energy Assistance Program. The requirements can vary from state-to-state. Here is a link to a website with more information. You can also contact the National Energy Assistance Referral Service at 1-866-674-6327 (TTY 1-866-367-6228) or e-mail energyassistance@ncat.org to get more information. Eat well-balanced meals. Do not drink alcoholic or caffeinated beverages as they cause your body to lose heat more rapidly. Dress in layers as the air between the layers help you to keep warm. Wear wool, silk or polypropylene inner layers because these fabrics hold heat in better than cotton. Wear a hat or cap. Wear long johns under your clothes. Throw a blanket over your legs. Wear socks and slippers. Use extra covers, and wear a cap to bed. Stay inside when it is very windy outside. A high wind can quickly lower your body temperature. Find ways to stay active. Ask relatives, friends and neighbors to check on you frequently, especially when temperatures are extremely cold. If you think someone has signs of hypothermia, call 911 and get medical attention immediately. Until medical help arrives, get the person into a warm room or shelter. Wrap the person in a blanket. Warm the center of the body first. Do not rub the person’s arms or legs; do not use a heating pad; and do not try to warm the person in a bath. Keep in mind that during cold weather emergencies the assisted living communities that Gardant manages serve a warming shelters for older adults. Click here for a list of communities.